Treatment with the next-generation FLT3 inhibitor gilteritinib improved survival of patients with relapsed/refractory acute myeloid leukemia (AML) compared to standard chemotherapy. 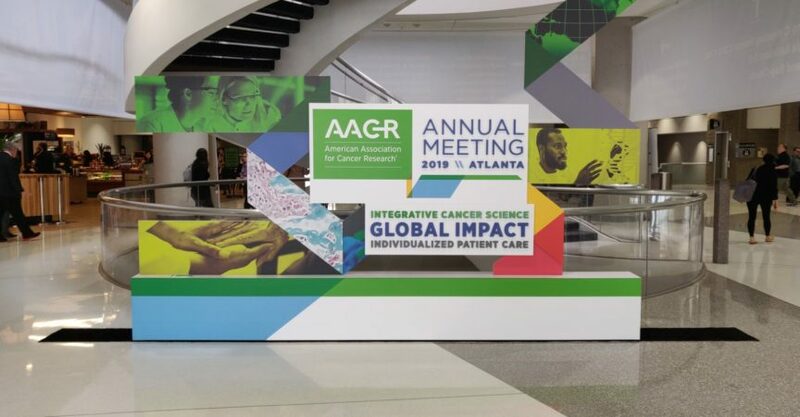 This is the conclusion drawn from the final analysis of the ADMIRAL clinical trial that was presented at the AACR Annual Meeting in Atlanta. The FLT3 gene is mutated in around one third of AML patients. Patients with relapsed or refractory FLT3-mutated AML have a particularly poor prognosis, with standard chemotherapy regimens yielding low remission rates and any remissions achieved lasting a short duration. 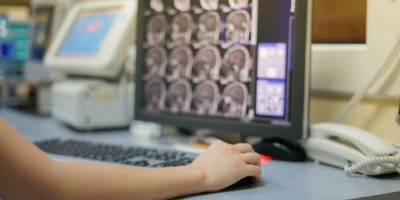 Gilteritinib could be effective in patients with the internal tandem duplication (ITD) of FLT3, and the mutation of the FLT3 tyrosine kinase domain (TKD). In the phase III clinical trial ADMIRAL, 371 patients were included, of which 88.4 percent had FLT3-ITD mutations, 8.4 percent had the FLT-TKD mutation, and 1.9 percent had FLT3-ITD and the FLT3-TKD mutation. 39.4 percent of randomized patients had refractory disease, 60.6 were relapsed after therapy. 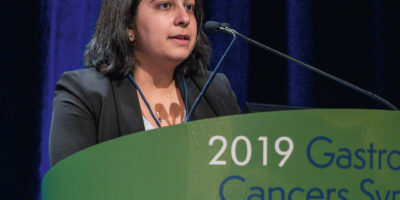 Patients were randomized 2:1 to receive continuous 28-day cycles of 120 mg/day gilteritinib, or standard chemotherapy of investigator’s choice (low-dose cytarabine; azacitidine; mitoxantrone, etoposide, and cytarabine; and fludarabine, cytarabine, granulocyte colony-stimulating factor, and idarubicin). Overall survival (OS) and the combined rate of complete remission/complete remission with partial hematologic recovery (CR/CRh) were co-primary endpoints. Secondary endpoints included event-free survival, complete remission rate, and safety and tolerability. First author Alexander E. Perl, MD, associate professor in the Division of Hematology/Oncology at the Perelman School of Medicine at the University of Pennsylvania, now presented the final results. Median OS of patients treated with gilteritinib was 9.6 months, compared to 5.6 months with standard chemotherapy (HR 0,637; p=0,0007). At 12 months, 37.1 percent of the patients treated with gilteritinib were alive, compared with 16.7 percent of those assigned standard chemotherapy. Rates of CR and CRh were 34.0 and 15.3 percent (p=0,0001), the rate of complete remissions was 21.1 and 10.5 percent (p=0,0106). Event-free survival was 2.8 vs. 0.7 months (HR 0,793; p=0,0830). Severe adverse events were more frequent among patients treated with standard chemotherapy than with gilteritinib (9.2 vs. 7.1 percent). 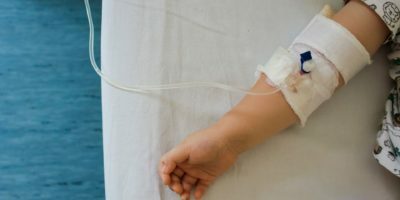 According to Perl, the longest survival in the gilteritinib arm was seen for patients who proceeded to transplant and then resumed gilteritinib thereafter to prevent relapse. Long-term survival was, however, very uncommon on either treatment arm. »In an effort to further improve long-term outcomes, clinical trials testing gilteritinib in combination with other therapies for relapsed or refractory FLT3-mutated AML and testing gilteritinib as frontline therapy for newly diagnosed patients have already been launched,” Perl reports. The main limitation of the study was that standard first line therapy for FLT3-mutated AML changed during enrollment to the ADMIRAL trial because the FDA approved the FLT3-targeted therapeutic midostaurin for this indication in April 2017. A small minority of patients in both arms therefore received prior FLT3-targeted therapy. »It is possible that leukemias that relapsed after or were refractory to frontline treatment that included midostaurin were less dependent on FLT3 for their growth and therefore had less likelihood of responding to gilteritinib,” Perl explained. According to Perl, the survival data combined with the relatively low toxicity of gilteritinib justify a new therapy standard for patients with relapsed/refractory FLT3-mutated AML. As another advantage, he added that patients could be treated in an outpatient setting due to the oral application of gilteritinib. 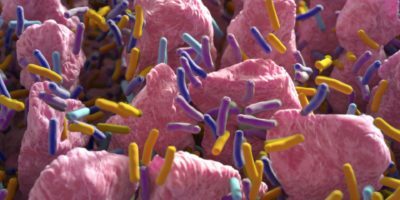 An interim analysis of the response rates (not exclusively compared to standard chemotherapy) led to the approval of gilteritinib for patients with FLT3-mutations in December 2018 by the Food and Drug Administration (FDA).